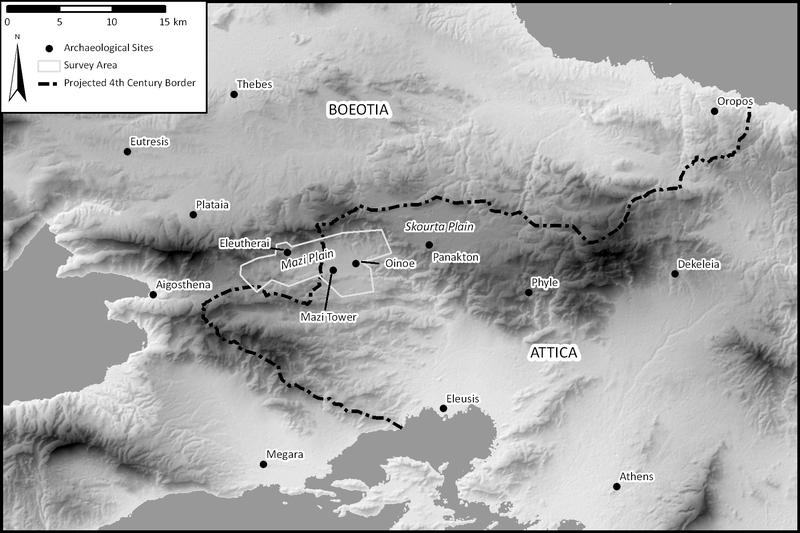 The Mazi Archaeological Project (MAP) is a diachronic regional survey in northwest Attica, Greece. 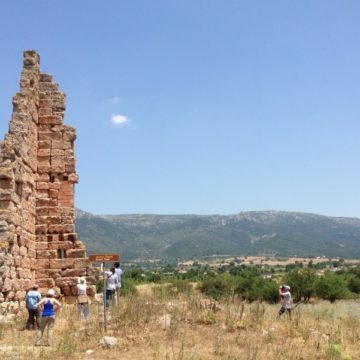 A collaboration between the Ephorate of Antiquities of West Attika, Pireus, and Islands and the Swiss School of Archaeology in Greece, the project is comprised of an international team of researchers from Greece, Switzerland, and the United States. It is directed by Sylvian Fachard (former scientific secretary of the Swiss School and currently Mellon Professor at the American School at Athens), Alex Knodell (Carleton College), and Popi Papangeli (Ephorate of west Attica, Piraeus and Islands). 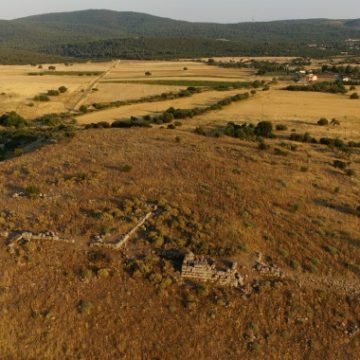 The Mazi Plain is a small valley situated in the Kithairon and Pateras mountain ranges and is a key location in the borderlands between Attica and Boeotia. Strategically positioned on the main route between Eleusis and Thebes, the plain also occupies a critical crossroads on regional and interregional land routes. Today, the route continues to be important as the Old National Road runs through the plain, where the modern town of Mazi (formerly called Oinoe) is located in the center. 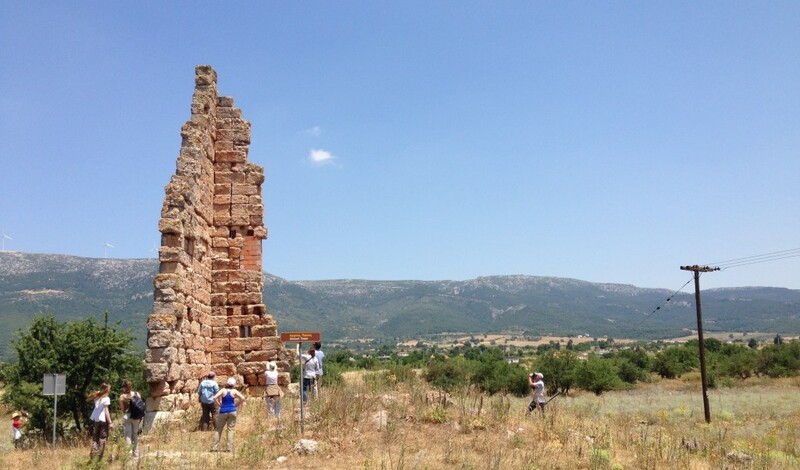 From an archaeological and historical perspective, the Mazi Plain is best known for three spectacular sites. 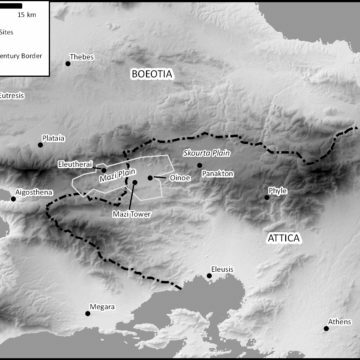 The Attic fortified deme-center of Oinoe (of the Hippophontis tribe) occupies the eastern side of the basin. 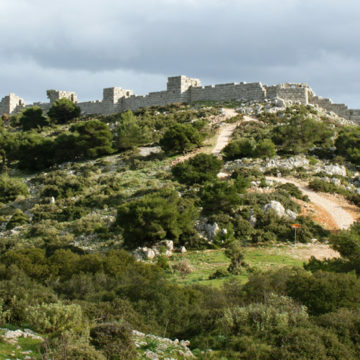 The town and fortress of Eleutherai lie on the western side of the plain, at the entrance of the gully that leads to the Kaza pass, a natural route leading into Boeotia. And the iconic Mazi Tower stands in between. Beyond these well-known landmarks, however, little work had been done in tracing the diachronic history of the landscape. 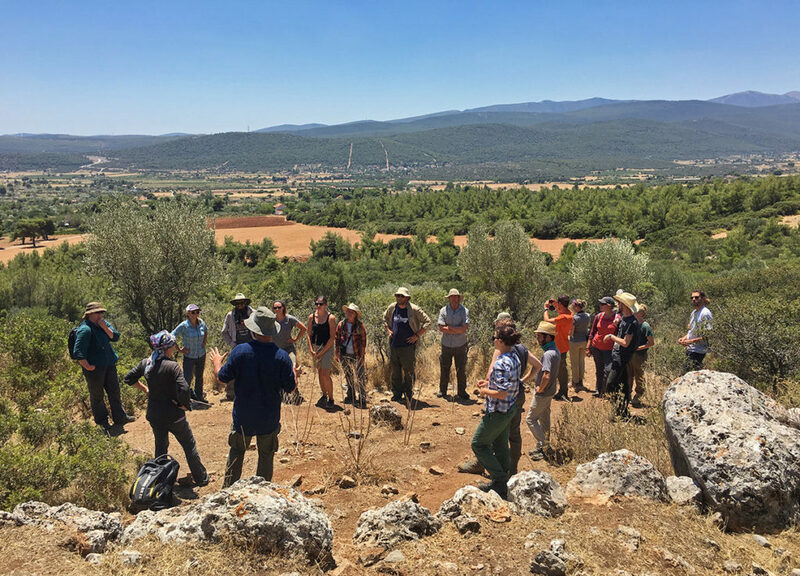 Through fieldwork in the summers of 2014–2017, MAP has aimed to address long-term questions of human occupation, human-environmental interaction, territoriality, regionality, and movement in periods ranging from prehistory to the present. After a 2017 study season the team is moving in to the publication phase of the project.